My passion for Women’s Health has taken me on a wonderful life’s journey. As a midwife for nearly 30 years I’ve had the honor and pleasure of working with women throughout the childbearing years and beyond. 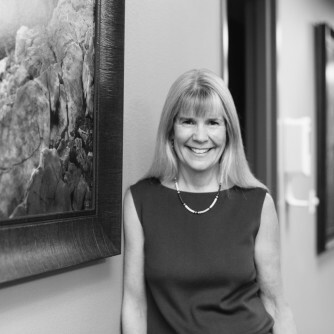 I practiced in Connecticut and Hawai’i prior to settling in New Mexico 23 years ago and I began working in the field of Perinatology just over 8 years ago. I’ve been fortunate to have worked with some of the finest midwives and doctors in the country, and am now lucky once again to work with this amazing “family” at PANM. As a midwife, I appreciate PANM’s goals of providing support and guidance to women who may be experiencing complications of pregnancy. The care is provided by an extraordinary team, offering outstanding, compassionate care to pregnant women and their families at a time when reassurance and support is so critical. I am honored to be a part of this team. My passions outside of work are many and varied. I can be found bicycling, kayaking, hiking or dogsledding as easily as I can be found at various strange venues in town, playing Hammered dulcimer, dulcimer, flute, ukelele, banjo, autoharp, flute or theremin or singing harmonies. My overriding passion is travel, and I’ve been lucky to have been able to share this passion with my husband of 40 years. We do volunteer work both here in New Mexico, as well as in other states and overseas. We have two amazing boys, now grown, both of whom are accomplished artists and musicians. The only “kids” we now have at home are our two dogs, Andy and Elliot!